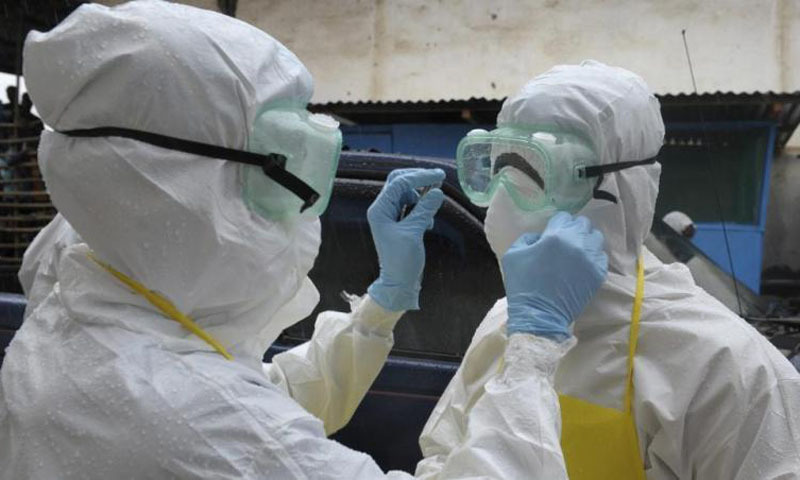 Kinshasa 13-04-2019 Health - Ebola haemorrhagic fever continues to spread in eastern Democratic Republic of Congo, mainly because of the presence of armed groups that cause permanent mobility of people. This is why Oxfam, a leading humanitarian actor, has asked people in this part of the country to be more vigilant because, little by little, this epidemic seems to be approaching the country of the thousand hills that is Rwanda and towards Uganda, the pearl of Africa. In its second epidemic since 1976, Ebola was again declared on August 1, 2018 in Nord Kivu province, before touching neighboring Ituri. The main places are in Katwa and Butembo which represents all together 57.7 percent of new cases of death. It only took three weeks to pass from 600 to 700 deaths after these hearths were attacked. That of Katwa took again the service only last saturday after a will posted by the Ministry in charge of Health and its partners for better associating the local populations to the anti-Ebola response. Since the beginning of the epidemic, the cumulative number of cases is 1,117, of which 1,051 are confirmed and 66 are probable. There were a total of 741 deaths, therefore 31 health workers out of the 86 infected; 350 people cured of the virus and 274 suspected cases under investigation. The head of the Oxfam humanitarian program in the DRC, Emmanuel Danmbi-saa, said that if the virus crosses the country's border, we will face a new epidemic, similar to that of 2014 in West Africa. Worse, in a much more volatile border area, it would be a nightmare if it crosses the border with Rwanda or Uganda. In addition, the political crisis in the DRC and the last elections in December 2018 have given a example on this country of Central Africa, but humanitarian needs are still struggling to be countered. In 2018, about US $ 1.7 billion was disbursed for this aid, less than half (45%) was harvested. The amount is advanced for this year while only 6.5% of the sum has been collected so far. Campaign Director for Oxfam, Sladeczek said the DRC is also facing several serious humanitarian crises scattered throughout the country. Donors need to be aware of the complexity of these crises '' and we need to administer our aid according to the different regions ''.